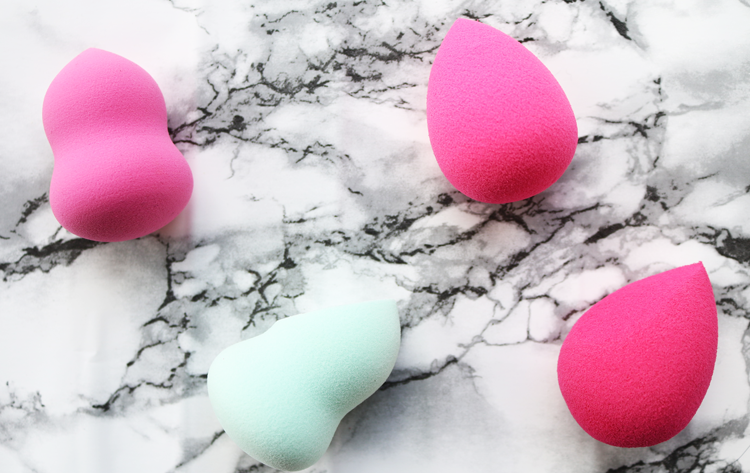 Battle Of The Makeup Sponges - Are They All The Same?! Makeup sponges have come a long, long, way since they used to be just a flat or wedge sized piece of foam. Nowadays, this makeup artist favourite is readily available to the masses in a wide range of different shapes and sizes. But aren't they just all the same?! 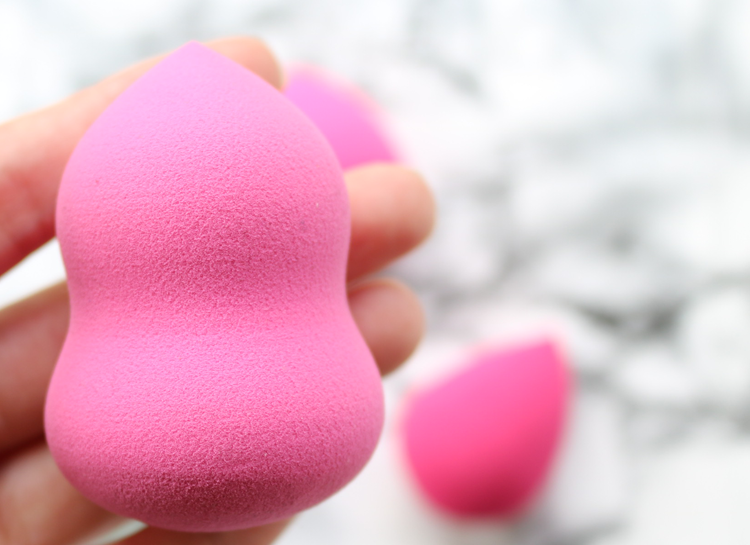 The most famous of all the makeup sponges in the beauty world is the seriously high-end Beauty Blender (£16, link) - an unassuming, simple yet effective sponge that makes liquid foundation apply flawlessly with minimal effort. I've gone through a couple of them over the years (ideally you want to change your makeup sponge every 3-4 months or so for hygiene reasons depending on how often you use it), but since using up my last one, I decided to try out some different sponges to see how they compare. 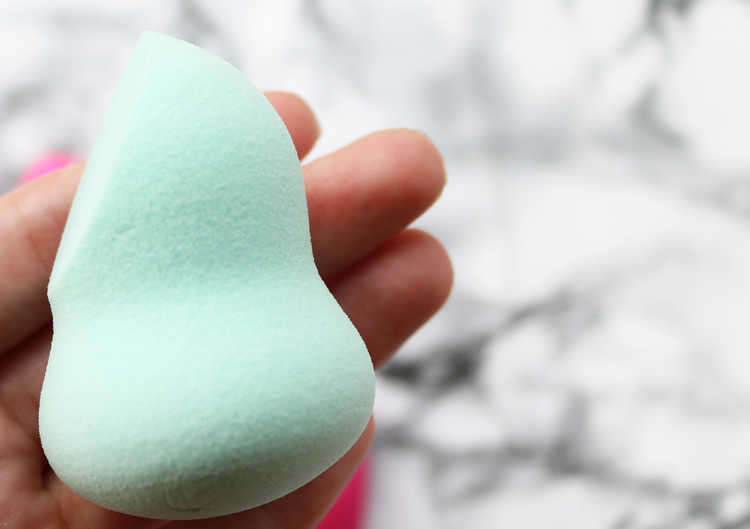 Last month, I reviewed a bunch of new products from Tweezerman's S/S 2016 range and this makeup sponge is currently available as part of their Brush iQ Kit. This one has a different shape to the Beauty Blender, and instead features a more rounded 'hourglass' style figure with a classic teardrop tip at the top. It's much firmer in texture than the BB but still feels spongey. It's hypoallergenic and latex free, so ideal for sensitive skin. 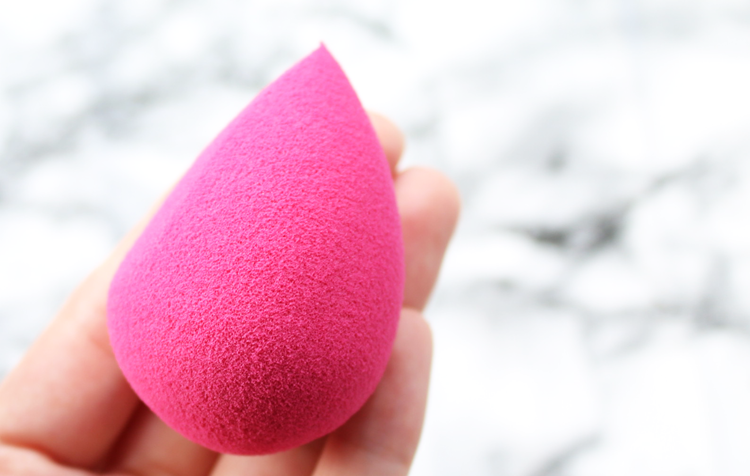 Back in March, I received the Nanshy Makeup Blending Sponge in my You Beauty Box (reviewed here). Similar to the Tweezerman sponge above, it has an hourglass style shape, but instead of a teardrop tip, it has a hard flat angle and a much wider, rounded bottom. The shape has been especially designed to prevent the sponge from rolling around when you put it down and it definitely works - you can place it on its side and it won't move and it also happily sits up on its bum! It's very firm (even firmer than the Tweezerman) but feels super soft on the surface. Heading on over to Superdrug's B. range, I was pleased to see that they had a makeup sponge that looked almost identical to the original Beauty Blender, only this one is ever so slightly flatter and it still retains the same classic teardrop tip. This latex-free contender also feels the same as the BB in its bouncy texture and softness. Very similar to the B. Blending Sponge, this one from Pamper Therapy has the same sort of egg shape, yet features a flat side edge. It's soft and bouncy, but the surface texture of this is slightly more raised than the B. and the original BB, however the overall size is almost the same. I also want to give an honourable mention to the Real Techniques Miracle Complexion Sponge (reviewed in the past here) which is fantastic and deserves at least 8/10. So there you have it - not all makeup sponges are created equally it would seem! I'm so happy that I tried out all of these as I'm absolutely smitten with the B. Blending Sponge and will definitely continue to purchase that one over the Beauty Blender in the future. Dupe life here I come! 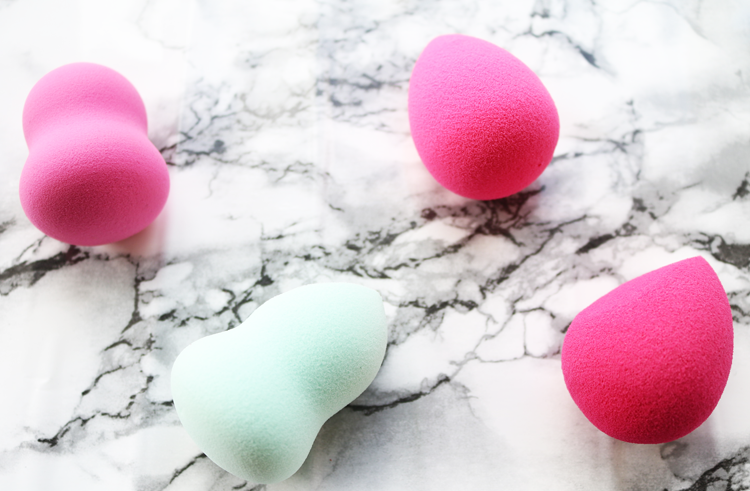 What's your favourite makeup sponge? 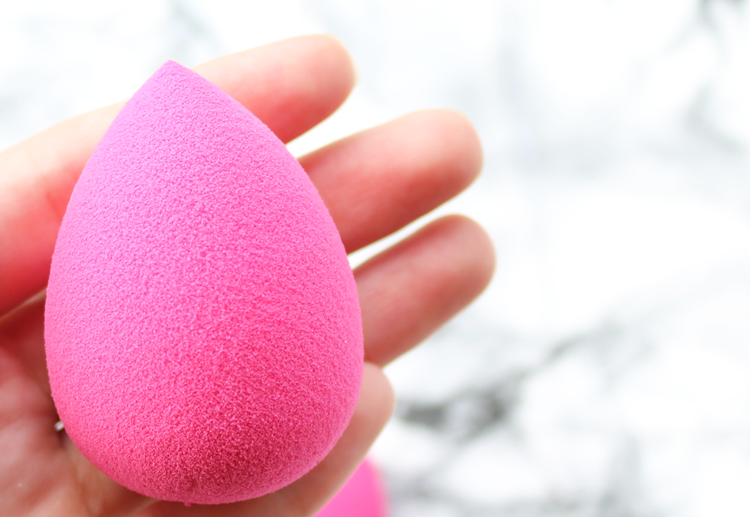 Have you tried any of these or the original Beauty Blender? I'm so glad that someone else has discovered the B. sponge - it really is amazing and I'm fairly sure I prefer it to the original BB.